Gallbladder volvulus or gall bladder torsion (GBT) is a relatively rare condition affecting roughly 1 in 365,520 patients. Only about 300 such cases have been reported in the literature but the age range is 2 to 100 years old. The first case was described by Wendel in 1898 in which he described it as a “floating gallbladder.” It is defined as a rotation where there is a mechanical organo-axial torsion that occurs along the gallbladders longitudinal axis involving the cystic duct and artery. But the etiology is still not well known. The condition is overwhelming found in the geriatric population with 85% of patients being over the age of 60. There is a predilection for white females as well. A significant WBC of 18.8 was noted however the patient was afebrile. An Ultrasound was performed which showed no evidence of cholelithiasis (Figure 1) . Biliary “sludge” was noted without cholecystic fluid or gallbladder wall thickening. Ultrasound impression was no acute process. A CT of the abdomen and pelvis was obtained. This showed a moderately distended gallbladder with pericholecystic fluid consistent with inflammation (Figures 2 and 3). Figure 2: The gallbladder is moderatley distended with pericholcystic fluid, consistent with elements of inflammation. Figure 3: No visible gallstones per CT. No Bile duct dilation. Small, common hepatic and common bile duct. The patient was consented for a laparoscopic cholecystectomy with intraoperative cholangiogram; possible open cholecystectomy. Intraoperatively, a floppy/floating gallbladder was noted without attachment to the liver with the exception of the cystic artery and cystic duct. The gallbladder was rotated about its longitudinal axis in a counter clockwise fashion. The gallbladder appeared necrotic (Figures 4 and 5). Figure 4: Hyperemic gallbladder with areas of necrosis. 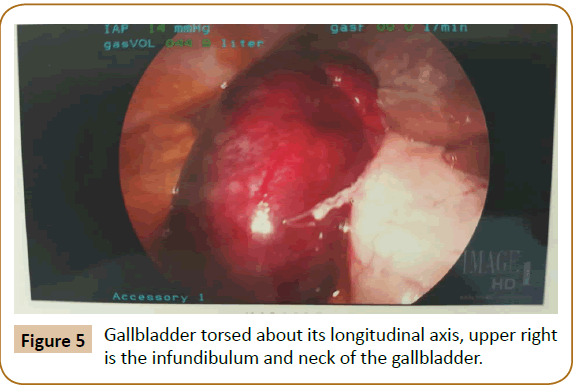 Figure 5: Gallbladder torsed about its longitudinal axis, upper right is the infundibulum and neck of the gallbladder. Gallbladder volvulus is a rare condition that is more prominent in older, Caucasian females and the incidence appears to increase with age . Our patient fit this description. The etiology of gallbladder volvulus is unknown but some underlying factors seem to be present. First the gallbladder is usually “floating” that is where the entire organ is in contact with the peritoneum and it is connected to the porta hepatis only by the cystic pedicle. A congenital anomaly may be present where an abnormally long mesentery can suspend the gallbladder away from the liver bed, thus increasing the chance for torsion. Likewise relaxation and atrophy of previously normal mesentery can cause visceroptosis . But for the torsion to occur a triggering event has to occur. Liver atrophy, loss of visceral fat and elasticity, weight loss, atherosclerosis of the cystic artery and spinal deformities have all been theorized as possible triggering factors [4-7]. Interesting to note that our patient was very thin weighing just under 90 pounds, BMI 19. Gallstones are unlikely to be the cause of torsion as they have been reported in only 20-33% of patients. One large study of 245 patients found stones in only 24.4%8 Preoperative diagnosis is difficult with fewer than a dozen cases found in the literature. 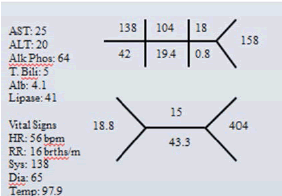 Most diagnosis are made intraoperatively [8-11]. Wendel AV (1898) A case of floatinggall-bladder and kidneycomplicated by cholelithiasis, with perforation of the gall-bladder. Ann Surg 27:199–202. Chung JC, Song OP, Kim HC (2010) Gallbladder torsion diagnosed by MDCT and MRCP. Abdom Imaging 35: 462–464. Aibe H, Honda H, Kuroiwa T, Yoshimitsu K, Irie H, et al. (2002) Gallbladder torsion: Case report. Abdom Imaging.27:51–53. Janakan G, Ayantunde AA, Hoque H (2008) Acute gallbladder torsion: An unexpectedintraoperativefinding. World J EmergSurg 3: 9. Pottorf BJ, Alfaro L, Hollis HW (2013) A clinician’s guide to the diagnosis and management of gallbladder volvulus. Perm J 17: 80–83. Tarhan OR, Barut I, Dinelek H (2006) Gallbladder volvulus: Review of the literature and report of a case. Turk J Gastroenterol17: 209–211. Ijaz S, Sritharan K, Russell N, Dar M, Bhatti T, et al. (2008) Torsion of the gallbladder: A case report. J Med Case Rep 2: 237. Chou CT, Chen RC, Yang AD, Wu HK (2007) Gallbladder torsion: Preoperativediagnosis by MDCT. Abdom Imaging32: 657–659. Reddy PK, Muralidharan M, Venkatasubramanian R, Yuvaraja S (2005) Laparoscopicderotation and cholecystectomy for torsion gallbladder. JSLS 9: 238–240. Gupta V, Singh V, Sewkani A, Purohit D, Varshney R, et al. (2009)Torsion of gallbladder, a rare entity: A case report and review article. Cases J 2:193. 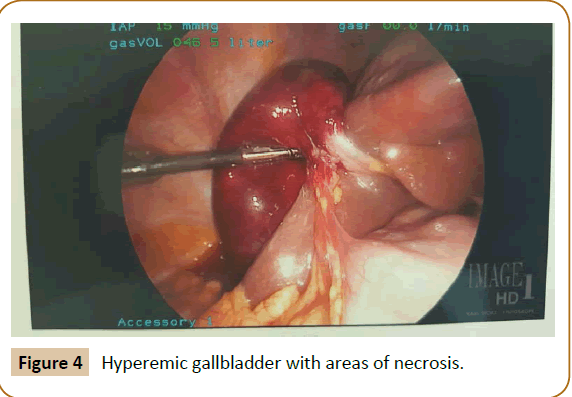 Garciavilla PC, Alvarez JF, Uzqueda GV (2010)Diagnosis and laparoscopicapproach to gallbladder torsion and cholelithiasis. JSLS 14:147–151. Koyanagi T, Sato K (2012) Complete gallbladder torsion diagnosedwithsequentialcomputedtomography scans: A case report. J Med Case Rep.6:289.